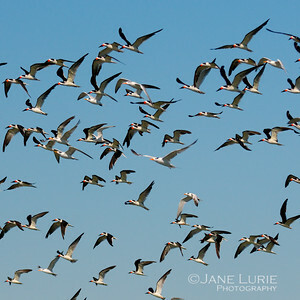 Skimmers, Egrets and Pelicans, Oh My! 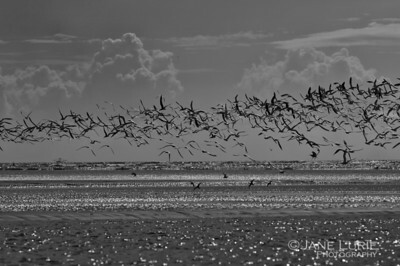 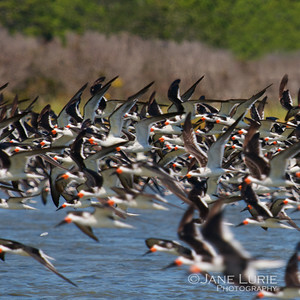 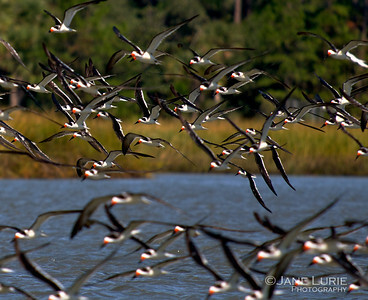 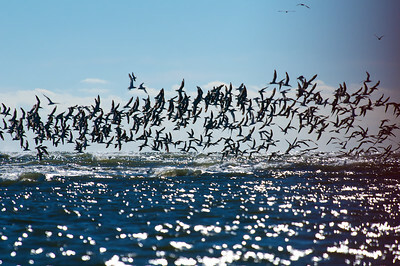 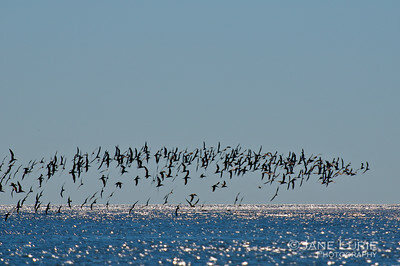 Shore birds on Kiawah Island, SC. 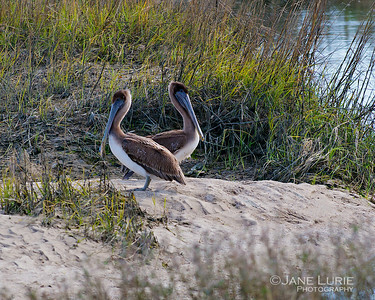 Caught in the action! 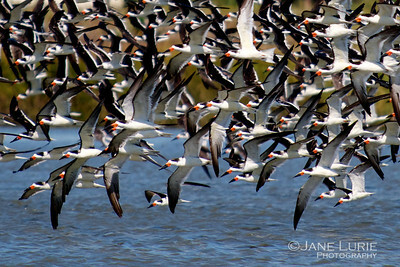 Black Skimmers flying by. 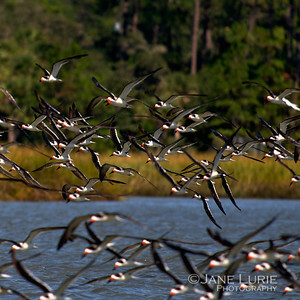 A lucky capture of skimmers in flight. 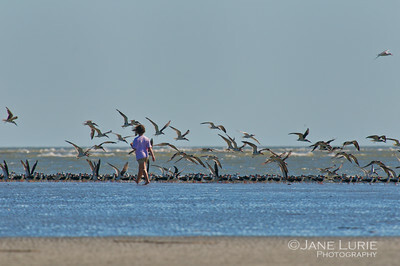 The wonder of nature for a little girl. 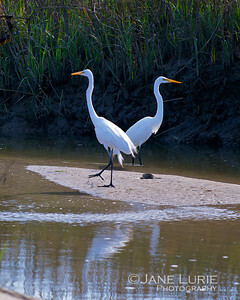 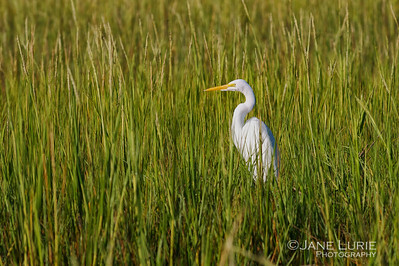 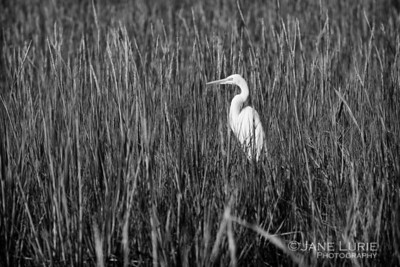 Doing the Egret Shuffle on Kiawah. 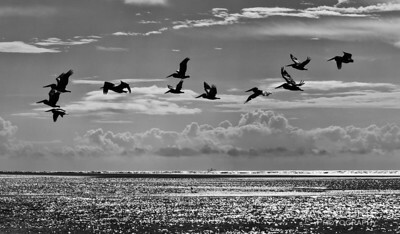 Egrets and Pelicans happily co-existing.